Provide comfort for the family of Joseph R. "Sunny Rocco" Stevenson with a meaningful gesture of sympathy. EAST LIVERPOOL, OHIO – Joseph R. “Sonny Rocco” Stevenson, 90, of Midland passed away Wednesday, January 2, 2019 at Orchards of East Liverpool. Joseph was born in East Liverpool, Ohio on July 4, 1928 a son of the late Rocco and Catherine Hapach Stevenson. He attended Midland High School. Joseph worked at Crucible Steel for 38 ½ years until his retirement on July 2, 1982. He was a member of VFW Post # 8168, American Legion Post # 481, Midland Sportsman Club and St Anthony Club. Joseph was preceded in death by two brothers Nicholas and Robert V. Stevenson. Surviving are his wife of 36 years, whom he married August 28, 1982, Bertha “Bonnie” Stevenson; two sons Michael J. (Gisele) Stevenson of East Liverpool and Robert J. Stevenson and his partner Dee Monac of Midland; daughter Patricia J. Moore of Columbiana, OH; eight grandchildren; six great grandchildren and two great great grandchildren and two sisters Ermenia “Minnie” Seybert of Moreno Valley, CA and Veronica “Dolly” (Duke) Miller of White Oak, PA.
Friends may visit Saturday afternoon at the Dawson Funeral Home where the family will be present from 10 a.m. to 12 p.m. A mass of Christian burial will be celebrated at Holy Trinity Parish at St. Aloysius Church on Saturday at 12 p.m. with Fr. Scott Kopp as celebrant. Burial at Beaver Cemetery. Immediately following the service, friends and family will gather at the Dawson Family Center for fellowship. The family would like to extend a special thank you to the nurses and staff at Orchards of East Liverpool and Hospice of the Valley for the excellent care Joseph received. To send flowers to the family of Joseph R. "Sunny Rocco" Stevenson, please visit our Heartfelt Sympathies Store. We encourage you to share any memorable photos or stories about Joseph R. "Sunny Rocco" Stevenson. All tributes placed on and purchased through this memorial website will remain on in perpetuity for generations. 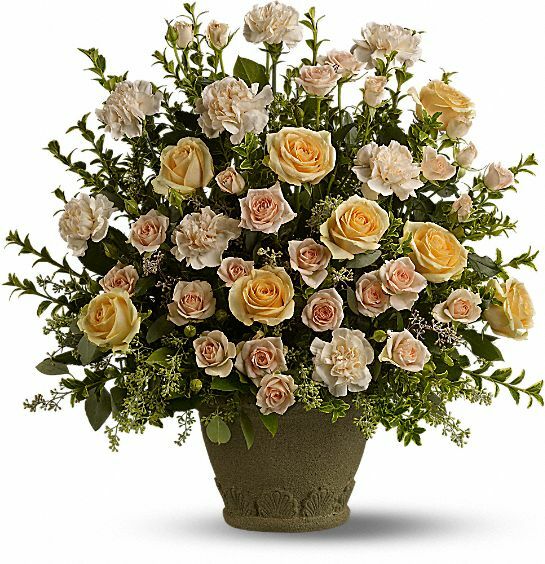 Provide comfort for the family of Joseph R. "Sunny Rocco" Stevenson by sending flowers. Heartfelt Sympathies Store purchased flowers for the family of Joseph R. "Sunny Rocco" Stevenson.